. . . food must be fixed.
. . . laundry must be done.
. . . and dishes must be washed. I have been asking myself where the lesson is in this situation. I have learned a lot of things but there is a lesson in this for my children as well. There is no dishwasher in our house. So someone has to wash them by hand. 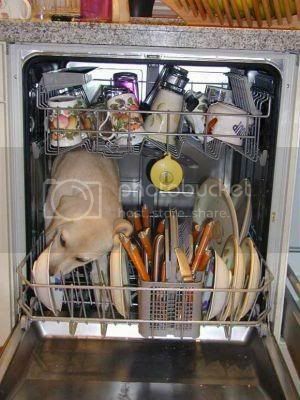 My mom told me on Christmas that it took 3 dishwasher loads to get the dishes done at her house. I looked around on the internet & found conflicting reports on whether hand washing or electric dishwashers were more efficient. But my point is not about saving water or electricity. What I like about not having an electric washer is that my kids KNOW how to take care of a big job. From 5-6 years old they are taught to clear the table & get the dishes done. Boys and girls. Everyone helps. . . well sort of. There are so many life lessons in this. -You dirty something. . .you clean it. -The job isn’t done until it is all put away. -We can have fun while the work goes on. -Many hands make light work. So my Money Saving Monday post is probably not really saving money but it is teaching a lesson that is worth it’s weight in GOLD for my kids. What life lesson are you teaching your kids? What is IMPORTANT to know before you are out of the house?